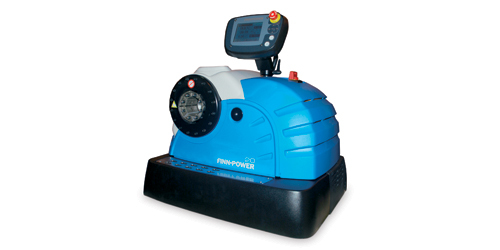 Finn-Power UC controls represent the most advanced crimping controls in the market. The UC control is a modern user interface based on icons, a selector and clear, visual display of all crimping parameters. UC control has exact and logic navigation. 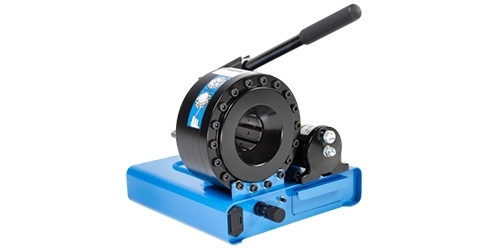 All most commonly used functions are easily accessible. Tool Change Wizard tells when the die set has to be changed and guides the operator during the die change. 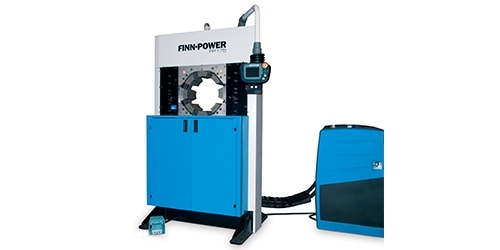 The stand-by function saves energy as the machine runs only when crimping is starting. The machine will then turn to power save mode after a set time. Other features include connectivity via ethernet and USB ports and expand ability. 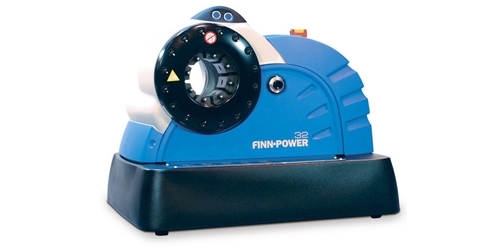 Various different options enable pressure crimping, step crimping and online quality control. The 20UC saves energy with their power-save mode and reduces the impact on the environment by using eco-friendly rapeseed oil. 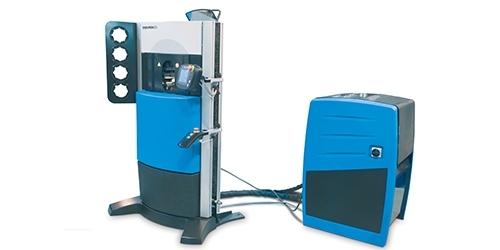 An entirely novel construction makes it possible to use the machine both right and left handed, feeding direction can be also used from either the front or back of the machine.